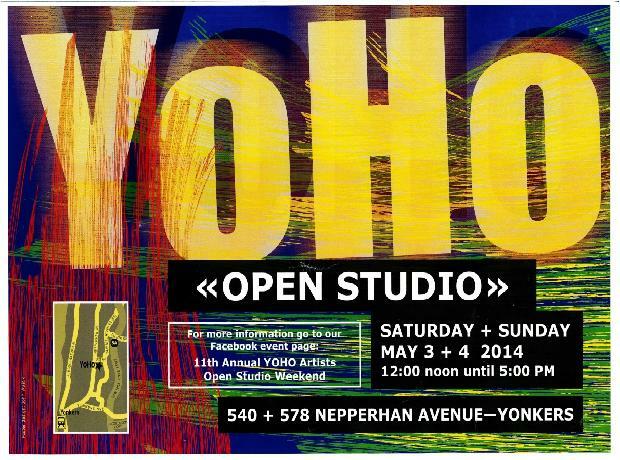 YOHO Artists is pleased to announce our 11th Annual YOHO Artists Open Studio weekend, May 3 & 4 from noon to 5pm both days. 50 artists, artisans, new media professionals, entertainers, and more; will open their doors to their studios, offering the public the unique experience of visiting in their work spaces. This is a FREE event, open to the public. Visitors range from arts professionals to the curious public, all are welcome! Bring a friend who might enjoy this unique experience. 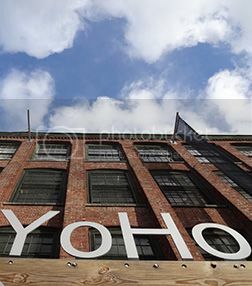 Please use this printable PDF for travel directions to YOHO at 578 Nepperhan Ave; Yonkers, NY 10701. See the details on FREE shuttles as provided by City of Yonkers Mayor Mike Spano. YOHO is pleased to be included in the greater Yonkers Arts Weekend as organized by City of Yonkers, Mayor Mike Spano's office. There is a lot going on. You will need 2 days to do everything! Apex Supply Company (Matthew Taragano and Ian Lynch).